And then there is music. Having grown up with classical music and choir singing, I have always been a harmony junkie. Singer/Songwriters, however, tend to be lonely singers in the wild, armed with nothing but a guitar. Fortunately, I found a compromise – the duo Katy und Ju. Lyrics are written by me, melodies by both Katy and me. The type of music is called filk, is largely unknown and part of a nicely chaotic subculture. In this genre again some fantasy related topics can be found. However, there are also many songs dealing with the stumble stones of reality, the injustices of life, the end of being. 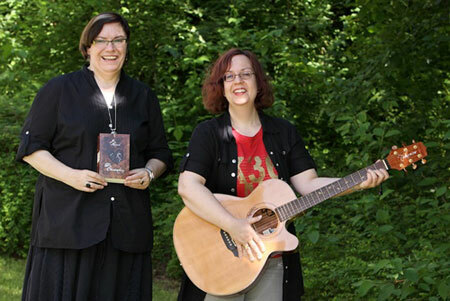 Two songs were awarded the British filk award, the “Sam”. 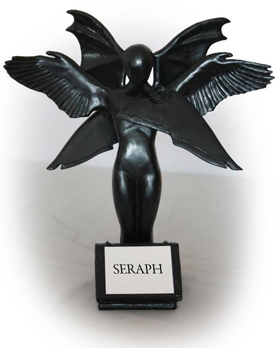 Another two have been nominated several times for the international Pegasus Award. One of the co-productions with Katy Dröge-Macdonald won the Pegasus Award for “Best Song” in 2011. Find more at Katy’s und Ju’s Site or at our Facebook band page. And time goes on. The dark, wild hunt will bite and tear. Once it’s begun, will ride your soul without a care. Leave a message for Ju!